The question of finding a legitimate broker is far from easy even for an experienced trader who has changed more than a few companies in the past. What is the case then for those who only recently matured and are ready to make money on the foreign exchange market? Forex brokers are many, and each has its own peculiarity. Therefore, we will talk about what you should be paying attention to first, and which factors are there only for advertising's sake. In general, all brokers are divided into two large categories: those that bring customers to liquidity providers and receive a percentage of the transactions as profit, and those that trade inside their own "playground". In the second case, the interests of the broker and the trader are in direct confrontation with each other, so if you are in the search of long and profitable trade, you must choose a company from the first category. Therefore, the first thing you need to pay attention to is the quality and reliability of the broker, as well as his reputation. The level of reliability is the main indicator of trust or, on the contrary, no confidence in a broker. Those companies whose work does not cause any complaints are always in the top of forex brokers ratings. Even if certain claims do arise targeted at these companies, they are resolved quickly and to the point. No one is immune from interruptions in communication and hacker attacks on servers, but these are isolated cases if the broker doesn't have security technology from the 2000s. Brokers that regularly practice such activities, and furthermore, allow them, only interfere with the work of their clients, which means that they deliberately force them to lose some (or even all) of the profits. Executing orders that were interfered with by a mere single point translates to some very serious earnings, or rather savings, for the broker in the long run. At the same time, a company that keeps track of its reputation will demandingly select its clients based on certain criteria. A random person from the street just cannot open an account with certified and legitimate brokers. Scanning the passport, bills, verification by cell phone number are all means that you should expect to go through with a decent broker. This is done for the sake of your security first and foremost. Opportunities and conditions offered by a broker should always coincide with your expectations from Forex trading. Even the best forex broker is useless if the trading strategy does not work towards making any profits at all, and the question is not even in the choice of specific indicators or advisers, but for example in not choosing the correct type of order processing. There are a total of two options for processing orders at a specific price specified by the trader (Instant Execution), or at the current market price (Market Execution). In the first case, if the price at the time of execution has changed, the trader will receive a requote system as a response. On the other hand, the absence of slippage and the accuracy of the price of execution are ideal conditions for scalping. In the second case, the order will be executed at the current market price, and according to the situation on the market, the spread will be calculated, from which the broker will already receive his commission for services. That is, since Market Execution cannot be predicted in advance, you will never be entirely sure what part of your profits will have to be given away as commission. Therefore, it is necessary to carefully examine the proposed trading conditions. The broker's fee can sometimes reach an astounding 60%, especially if you remain inattentive with your choice of account type. A reliable broker always has good technical support. In order to see how much time is required for an ordinary user to solve a problem, you can go to the company's website, find the "questions and answers" section or something similar to it, and check out how in-depth you can get. In the event that your question remains unanswered, make sure to give them a call and see how they handle answering your questions live. Another useful aspect you should be looking out for - any additional software you are given at your disposal. For example, if you spend most of your time away from a stationary computer, then an application for mobile devices will be very useful. Having the luxury of monitoring the execution of transactions from anywhere in the world eliminates the need to constantly monitor every tick. User ratings can usually be found on specialized sites or even on regular Forex forums. These ratings are based on experiences given by users of a company with which they had worked previously. Obviously, this is one of the biggest things you want to be paying attention to. User ratings are great for telling the big picture, as they come directly from someone in the same position as you. Last but not least, the history of the company - the longer it is, the more reliable. This is by no means saying that any broker with less than a year on the market will be a worse option than a broker operating for more than a decade, it may be the complete opposite, but experience always helps. Choosing to cooperate with a new company, which has not seen any action really, traders put themselves under unnecessary risk. Too little time has passed to make it clear whether this broker is prone to fraudulent activities, or if it is indeed a young, legitimate, high-quality broker looking to prove itself. As experience shows, if a brokerage company exists on the market for a long time and has not yet been closed or merged with another one, then there is every reason to believe that this broker will not only be honest, but also have more than enough experience to lead you on your journey to establishing a new stable flow of income. Although relatively new, BronzeFX has already established itself as a reliable broker on the foreign exchange market. Offering its services to clients in over 100 countries, BronzeFX brings some of the newest technology available to the table, maximizing every clients’ potential to make consistent profits, no matter where, how, or when they are trading. BronzeFX is owned and operated by TRS Investments Ltd.
HotForex was founded in 2010 and operates as a unified brand of the HF Markets Group, operating primarily in Europe via its CySEC regulator, in St. Vincent & the Grenadine via IBC, and in South Africa via FSP. It has gained significant popularity in various emerging regulatory hubs such as Seychelles, South Africa, Mauritius, and St. Vincent and The Grenadines. 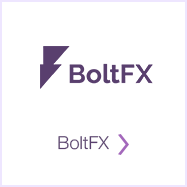 HotForex relies on the popular MetaTrader platform to carry out all operations, offering over 150 different instruments to work with, including shares, bonds, CFD’s, commodities, forex, cryptocurrencies, and indices. Since it was founded way back in 2010, GoldenFX has become one of the industry’s best, offering clients some of the most technologically advanced software for trading as well as extensive, high end customer services. Operating in more than 190 countries around the world, with focus on Scandinavian and Arab countries, GoldenFX offers its clients the opportunity to make money on the global financial market, which includes commodity, capital, and forex markets.